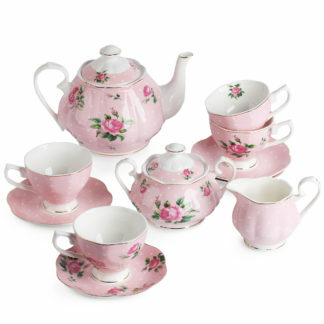 These tea set are perfect for your parties, giving as a gift or just simply decorating your house with the classic design. 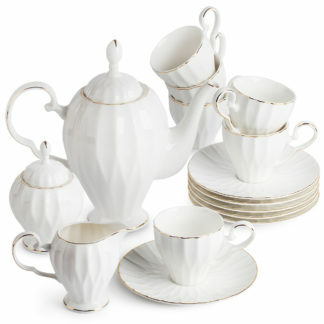 The sets are made from fine white lead-free porcelain. The classic design will complement traditional and contemporary taste. 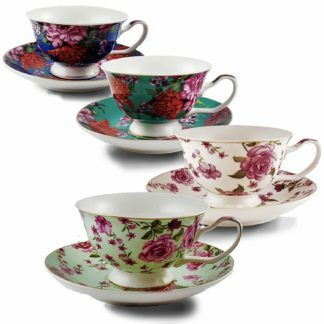 Tea cups are ideal to serve tea or coffee, also can be used for cappuccino cups, lungo cups, macchiato, latte, espresso cups, demitasse cups, coffee cups. 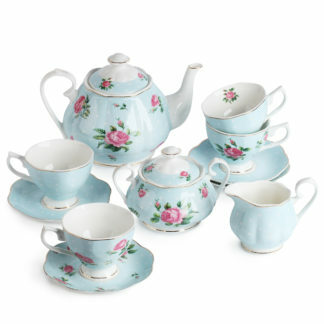 The set is dishwasher-safe and not microwave-safe. 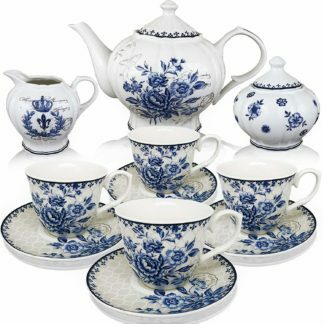 We guarantee that you will be impressed with the quality and beauty of this tea set and if for any reason you are not happy with your purchase, please make sure to contact us and we will do our best to resolve the issue.